The pick of hotels, restaurants and venues for event planners in the Catalan city. The Catalan capital is a destination that seems designed to perk up the appetite of even the most jaded delegate. And with investment currently reaching fever pitch, Barcelona always has something new to offer planners. Conference hotels: A perennial favourite for large groups is the 483-room Hotel Arts Barcelona, which topped the Best Overseas Incentive and Conference Hotel categories in C&IT's Hot List. "It overlooks the Port Olimpic just 20 minutes from the airport," says BI design manager Rhian Jolley. Arts 41, the 40th-floor meeting space, offers scintillating views of the city and 1,000m2 of space across two floors. Starwood's beachfront W Barcelona is a new challenger. The 473-room property opened in October as Europe's first W, with 13 meeting spaces for 850. For 'in and out' events, the 280-room Hesperia Tower is a useful option. Its Millennium Auditorium seats 480. Boutique boltholes: Jolley recommends the 91-room Hotel Omm on the Passeig de Gracia for smaller groups. Even more cosy is 22-room Neri Hotel & Restaurant, housed in an 18th-century palace, with a dramatic interior that combines Gothic architecture with modern flourishes. Grass Roots Spain director of operations Pilar Garcia highlights NN Hotels' 169-room Hotel 1898. "We have used it for micromeetings for Citibank," she says. "It is very central and has meeting space for 80." Places to meet: Jacqui Wylde, director of events at Black Tomato, praises the CCIB, which can seat 2,400 in its main auditorium. "It has a great team, flexible spaces that can accommodate exhibitions, conferences and smaller meetings in a selection of break-outs within a very short walk in the newly developed seafront area." The venue also picked bronze in the C&IT Hot List. The Miro Foundation houses the most important collection of the Barcelona artists' work and provides a cultured meeting space for 200 delegates. Beyond the city boundaries, Can Bonastre Wine Resort in the Montserrat foothills, just 35 minutes away, offers a boutique hotel and six meeting spaces for up to 80 delegates. Gourmet dining: Grass Roots project manager Kristin Lucas recommends Can Travi Nou, a converted 17th-century farmhouse. "We held a gala dinner there in September for a finance client," she says. "The service, food and atmosphere were all lovely, and pretty fairy lights made the outdoor area look enchanting. We also held evening entertainment there with flamenco dancers." The property can accommodate around 400 with sister property Can Cortada able to serve up Catalan specialities to 600 guests. The same group also owns Montjuic El Xalet with space for 350 indoors and 550 outside. After Dark: Black Tomato took 150 members from the sales and marketing team of a well known drinks brand to Barca in September to the Carpe Diem Club, in the Olimpic Port area, which serves up a mix of Iberian and Asian fusion foods. The Olimpic Port area has a host of bars and clubs, but the trendy Elephant Lounge offers an alternative and exclusive option and has hosted events for corporates including Porsche and Beefeater. 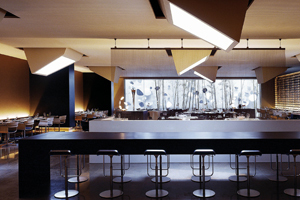 Up to 500 guests can gather at its upmarket Pedrables setting.